Gov. 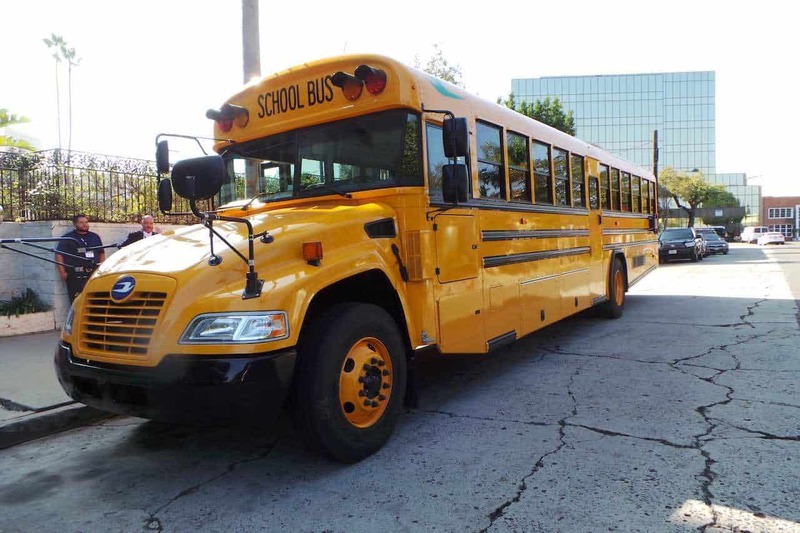 Doug Ducey announced the fifth and final wave of $5 million in Volkswagen Mitigation Trust Fund dollars to 45 school districts in 13 counties to purchase new school buses. Each of the 45 districts will receive one new diesel or alternative-fuel bus. The state on Monday announced it had chosen to award the last of its $36.8 million in VW grant money to rural school districts in these counties: Apache, Cochise, Coconino, Gila, Graham, Greenlee, La Paz, Mojave, Navajo, Pinal, Santa Cruz, Yavapai and Yuma. Buses being replaced must be at least 15 years old (2003 model year or older) and reach 100,000 miles on the odometer by June 30, 2020, the date that the new bus must be purchased by. School districts may specify any technology on the new acquisition, but they will be required to pay for any cost above the $110,000 that is available for new diesel buses or $135,000 for alternative fuel. In all, VW funds will cover the purchase of 330 new school buses for 141 school districts and charter schools in the state. Funds will be dispersed to school districts within two weeks of the state receiving all necessary paperwork.